Accentuate your living space with this unique ceramic vase. Shaped elegantly, this vase is perfect to be included in any interior. This vase is ceramic made hence need to handle with care. It can be placed anywhere from drawing room to outdoors. Decorate on side table, console table shelf or kitchen counter. 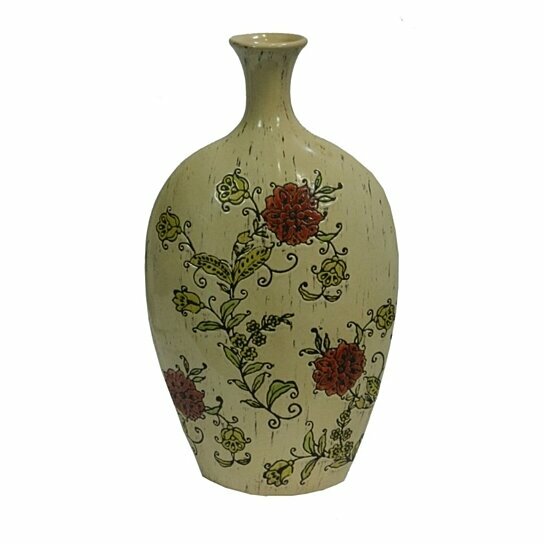 This gorgeous vase can be utilized in caf�, restaurant, as it is ideal for any place. This amazing vase will get along with changing home interior of yours.